Planet Oasis coming to Berkshire Twp. 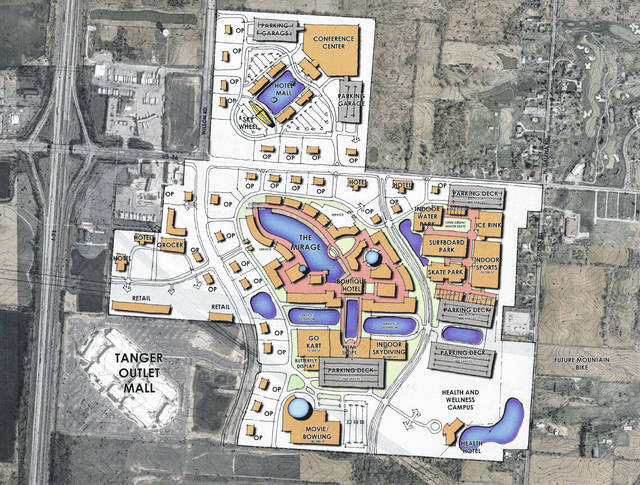 Berkshire Township is about to become a resort, just like Orlando. Commissioner Gary Merrell, wearing a Planet Oasis baseball cap, called Delaware County “the perfect place” to bring the development, near other “smart, strategic growth” like Tanger and IKEA. https://www.delgazette.com/wp-content/uploads/sites/40/2018/06/web1_Planet-Oasis.jpegThis is the master plan drawing for Planet Oasis, a multi-billion dollar development in Berkshire Township.